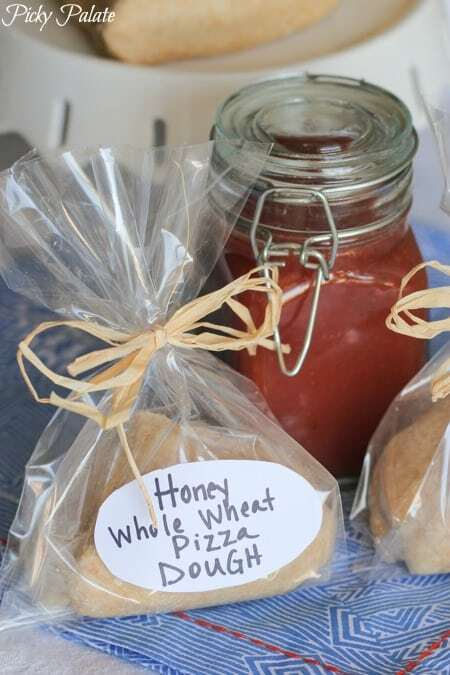 My Honey Whole Wheat Pizza Dough Recipe is a sure winner for your family and friends! 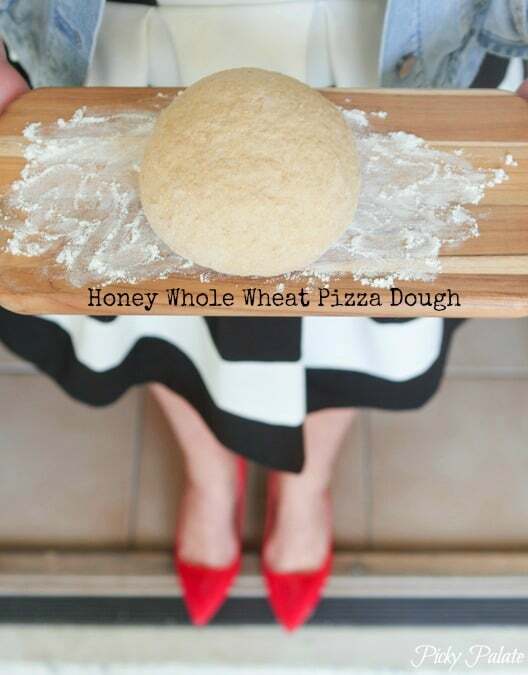 You are in for such a treat with my Honey Whole Wheat Pizza Dough recipe! I have been making pizza for a couple weeks now and cannot stop! I used to stock up on store-bought dough from Trader Joe’s like it was going out of style. I still love it, but there’s something about making your own pizza dough in your kitchen that can’t be beat! 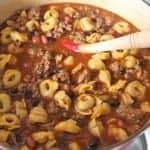 My recipe could not be more simple to prepare. No waiting for the dough to rise, it’s literally done in about 15 minutes. So excited for you to make your own dough for your family, not only does it taste incredible, your house smells like a dream too! Here’s most of your line up of ingredients. 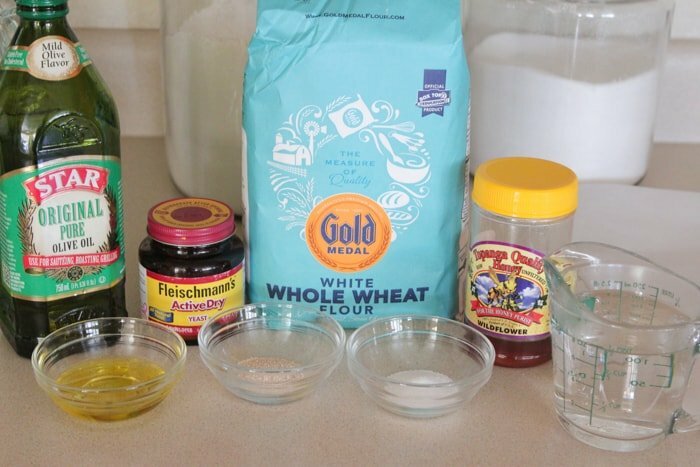 Simple pantry ingredients! I love the sweetness the honey gives the dough. Mmm! We like to use local raw honey. 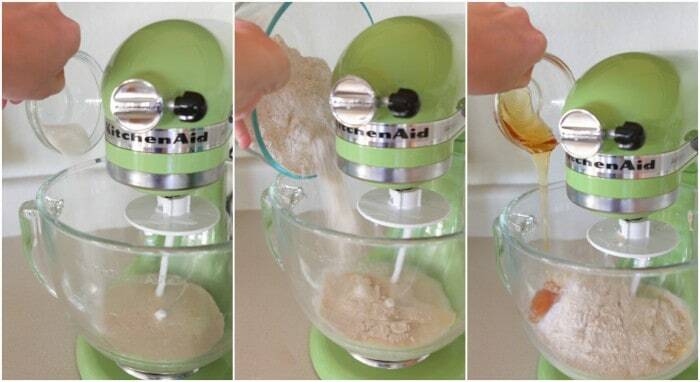 Start with adding warm water to your stand mixer along with the yeast and sugar. 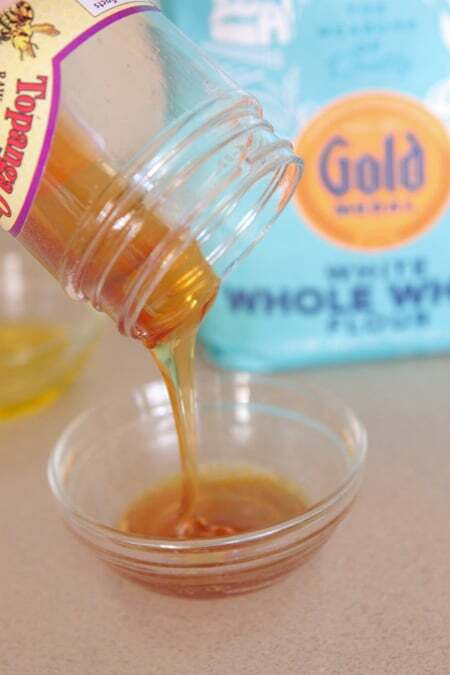 Let the yeast and sugar sit for 10 minutes then add your flour, olive oil, honey and salt. 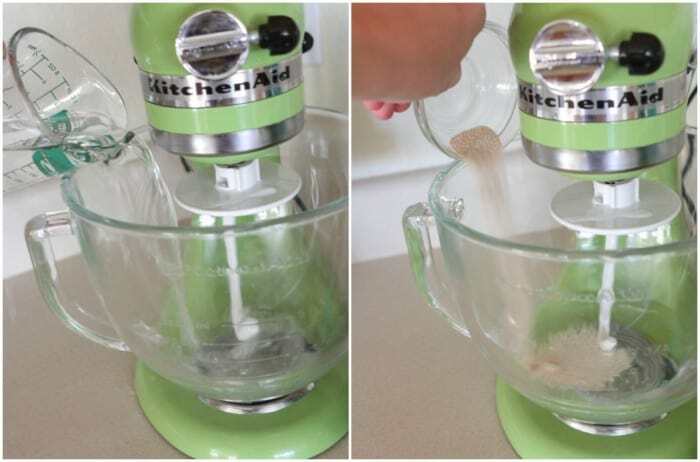 With the dough hook attached, let mix for 3 minutes, until well combined. 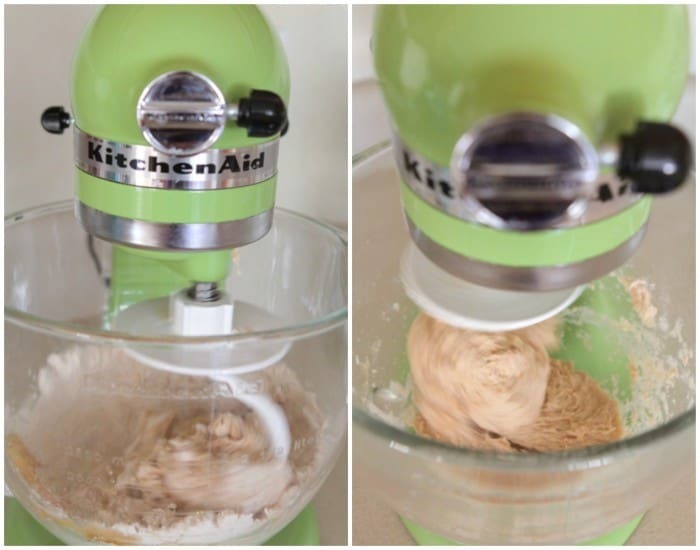 Take dough out of the bowl. 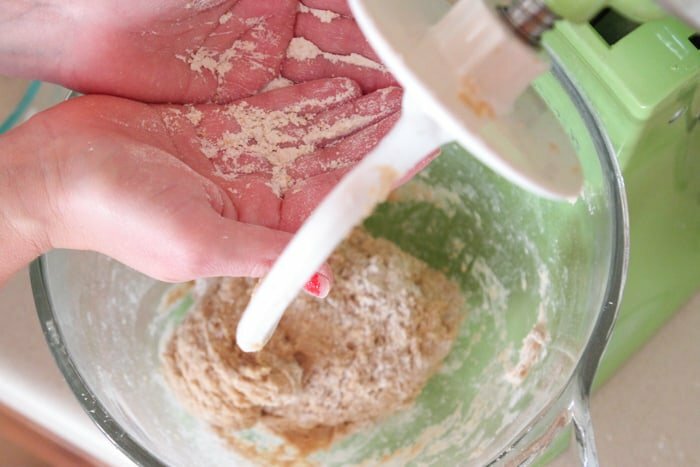 Transfer dough to a floured counter top. 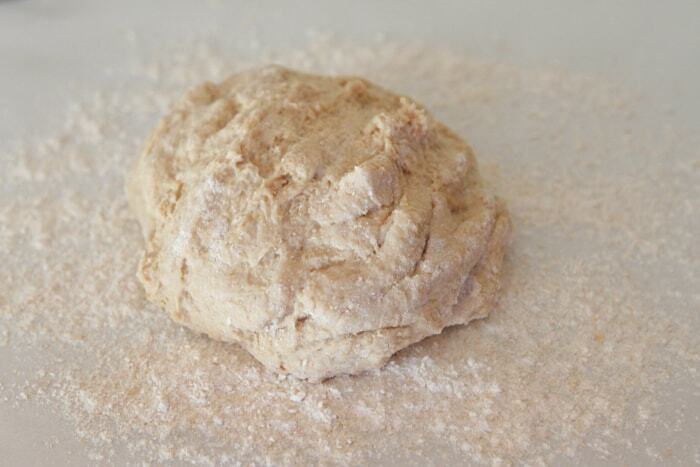 Knead a few times folding over and pushing. 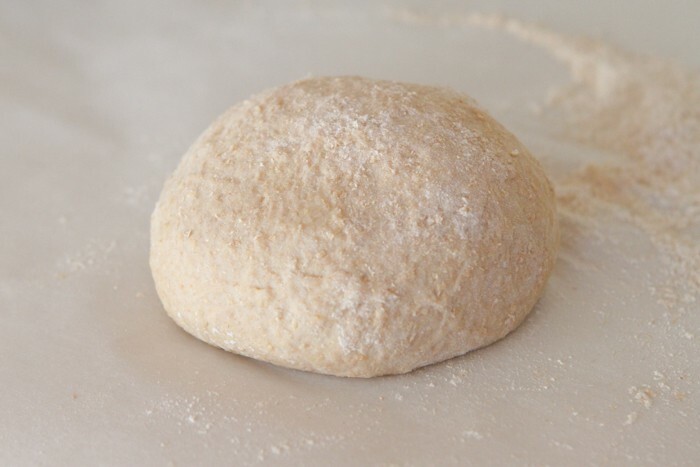 Form dough into a round ball. You can bake it at this point, cut it into fourths for individual pizzas, or refrigerate in a Ziploc bag. My boys love making their own pizzas, so I usually cut this dough into fourths and store in the refrigerator or freezer. I put one of these baggies into the fridge and baked it after 1 week and it worked great. They make great gifts for friends and neighbors too! 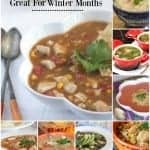 For more Palate Recipes click HERE. made this tonight and it was horrible! Made it according to your recipe exactly. 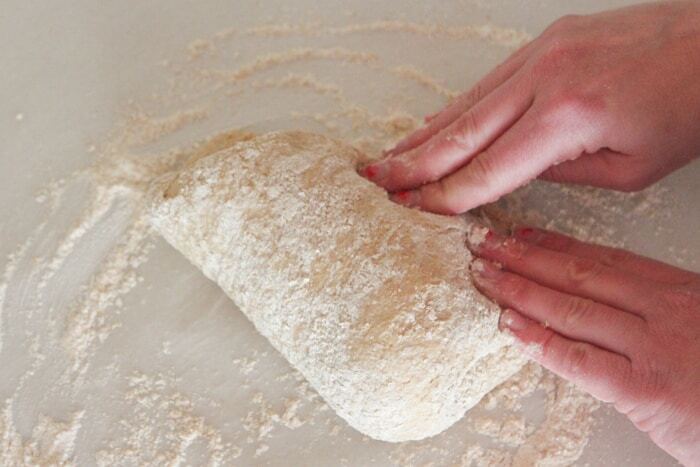 Does the dough need to rise before using it? I’ve been looking for a CO pizza dough. I am just wondering what I did wrong! Sorry to hear this Kevin. I make it weekly with no trouble. Are you using a stand mixer with a dough hook? Made your pizza dough for our Friday night pizza night. It’s a winner, I’ll be using this recipe from now on. Thanks for posting it. So glad to hear it, thanks Michelle!